Cisco completed its acquisition of privately held Ubiquisys for approximately $310 million in cash and retention-based incentives. Ubiquisys, which is based in Swindon, U.K., specializes in 3G and LTE small-cell technologies that provide seamless connectivity across mobile heterogeneous networks for service providers. 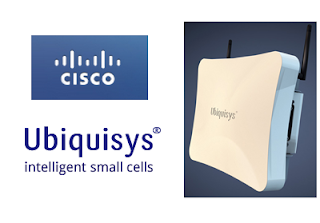 Ubiquisys employees will be integrated into the Cisco Mobility Business Group, reporting to Partho Mishra, vice president and general manager, Service Provider Small Cell Technology Group. Cisco said Ubiquisys' indoor small-cell expertise and focus on intelligent software for licensed 3G and LTE spectrum, coupled with its own mobility portfolio and Wi-Fi expertise, gives it a comprehensive small-cell solution for service providers that supports the transition to next-generation radio access networks. Ubiquisys investors included Accel Partners, Advent Venture Partners, Atlas Venture, 5 Continents Consulting Group (5CCG), Pacific Venture Partners, SerComm Corporation, UMC Capital Corporation, Yasuda Enterprise Development Co and T-Mobile Venture Fund. Colt Technology Services announced "the largest cloud footprint in Europe" via its data centers in the UK, France, Germany, Spain, Italy, and Switzerland. Colt is using a standardised orchestration layer in these data centers to ensure that regardless of where the business is located, or where the applications are hosted, customers can access, provision, manage and automate their network, infrastructure and storage via a single, online portal. In addition to enabling network, server and storage provisioning, Colt’s orchestration layer also links service management to flexible commercial frameworks in a simple-to-use online service request catalogue, accessible from anywhere, via any device. Service levels can be designed to reflect different business priorities and scaled up as required all the way from self-service through to a fully-managed service. Customer support is provided in 15 languages from Colt’s dedicated customer service centres. Colt also operates a 22-country, 43,000km network that includes metropolitan area networks in 39 major European cities with direct fibre connections into 19,000 buildings and its 20 Colt data centers. Manitoba Telecom Services (MTS) agreed to sell its Allstream division to Accelero Capital Holdings , an investment and management group, for $520 million, subject to certain customary adjustments. The deal is expected to close in the second half of 2013, subject to receipt of Investment Canada approval and customary closing conditions. Allstream provides enterprise communications services acress Canada and counts more than 65,000 businesses - large, mid-sized, and small - among its national customer base. 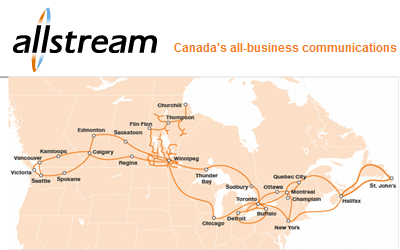 Allstream operates an IP network spanning 30,000 route kms across Canada, including 18,000 route kms of inter-city fiber and 8 cross border connections to the U.S.
Accelero is an investment and management group focused on telecommunication, digital media and technology. Accelero is controlled by Egyptian billionaire Naguib Sawiris, Non-Executive Chairman and Co-Founder, is a renowned telecom entrepreneur. "This transaction is the successful culmination of a diligent process to determine the best way to create shareholder value and drive strong, competitive and sustainable futures for both MTS and Allstream," said David Leith, Chair of the Board of Directors. "We believe this transaction represents attractive value for Allstream, is in the best interests of the Company, its customers, employees and business partners, and that it will increase the level of investment and competition in Manitoba and across the Canadian business market." Pierre Blouin, Chief Executive Officer, said, "This transaction makes MTS a stronger, more focused and more valuable company. MTS goes forward as a pure-play telecom with a strong consumer franchise and significant free cash flow to support our dividend. We will also have sufficient capital to invest in wireless spectrum and to continue bringing fibre-to-the-home, 4G LTE wireless technology and other products and services to more communities across Manitoba, further solidifying our position as the undisputed market leader in the province." 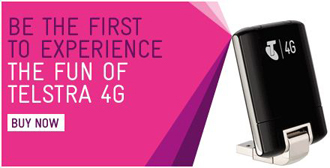 Telstra turned on its 1,500th LTE base station. The network is expected to cover 2/3's of Australia's population by the end of June. The company said it is deploying "dozens" of new base stations each week. activating its 1500th 4G site in May 2013. Google will acquire Makani Power, a start-up that has been developing kites capables of holding wind turbines. The idea is for a tethered wing to generate 30 kW of electricity by flying in large circles. Financial terms were not disclosed. Makani is based in Alameda, California.